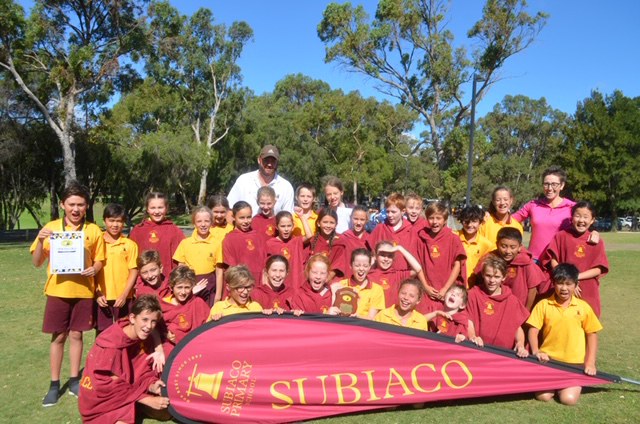 SUBIACO Primary School won the Gold Division of the SSWA Interschool Swimming Carnival for the second consecutive year this month. Floreat Primary School finished second at the event held at HBF Stadium. The open boys and girls medley relay teams had convincing wins and the Year 6 girls freestyle relay team broke a record that had been held since 1997. Year 6 swimmer Harrison Sartori claimed an individual record in the 50m backstroke in a time of 37.49 and narrowly missed the 50m freestyle record by just .01 of a second. His efforts earned him Champion Year 6 Boy while three other Subiaco PS students were awarded Runner-Up Champion – Archie Cox and Dariya Yavisheva (Year 4) and Helen McCaul (Year 6).